This week's New Makeup Monday starts off with the Ulta 21 Days of Beauty Fall 2017 flyer! The event starts on September 3rd (this coming Sunday) and goes through September 23rd. I don't have the other deals just yet but as soon as I find out about them, I'll post it here on the blog and on social media. I'm not gonna lie...nothing is thrilling me this time around. I guess my wallet is safe for now! In other news, e.l.f. 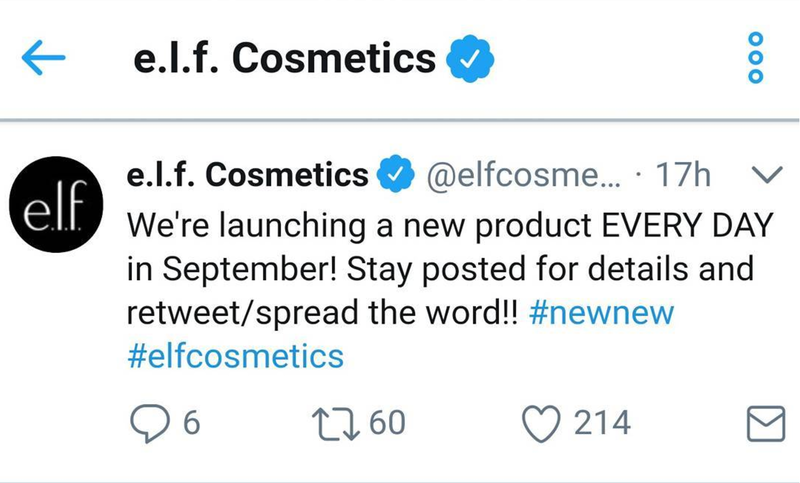 Cosmetics announced that they will be launching one new product every day in the month of September...that's 30 new products! They've teased at haircare in the past so I'm wondering if they'll be launching some hair products in addition to makeup and skincare. Okay, now my wallet is in trouble! My local store doesn't have the products out just yet but the Walmart website is showing them as "in-stock" at my location, so I ordered a few things online and selected the option to pick them up in-store. The employee who fills the orders actually went into the stockroom and took the products I ordered out of the boxes so I was able to get them right away. I posted some swatches of a few products on my Instagram page today if you're curious. 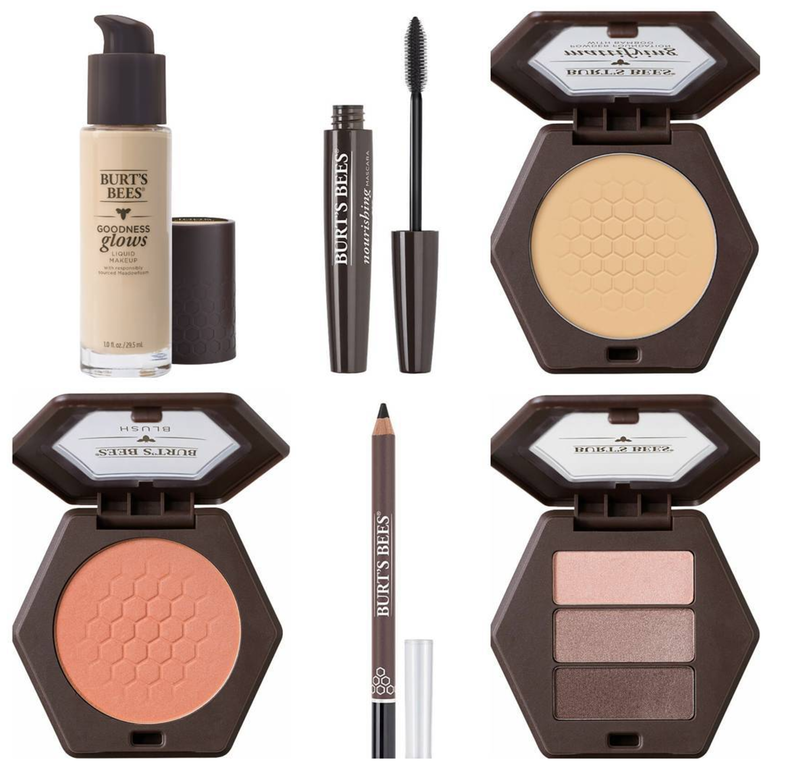 Burt's Bees has launched a line of makeup at Ulta.com including foundation, blush, mascara, eyeshadow trios, eye and brow pencils, and more! For now, everything is online-only but hopefully in time, it'll be in stores as well. Kat Von D has released 9 shades of her Everlasting Glimmer Veil Liquid Lipsticks ($22 each), which are exclusive to Sephora.com. 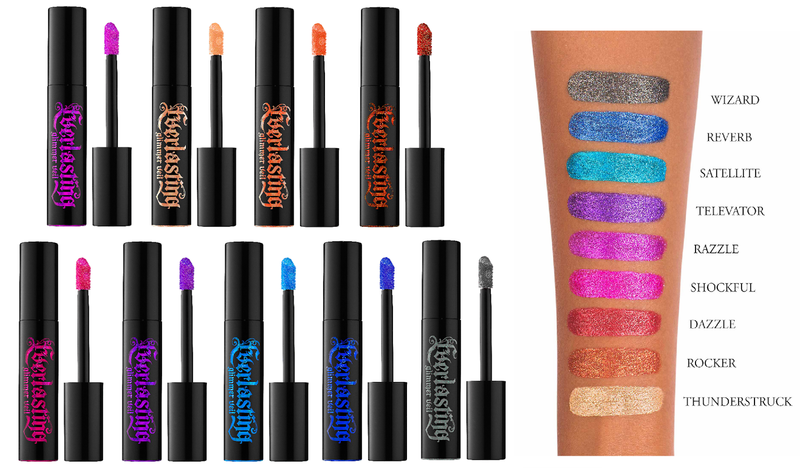 KVD claims that these are the world's first 24-hour glimmer lipstick and that they have a weightless, gel-cushion formula (glitter crystals coated in gel) that doesn't feel gritty. Available now at Sephora.com and will be in stores on 9/8. 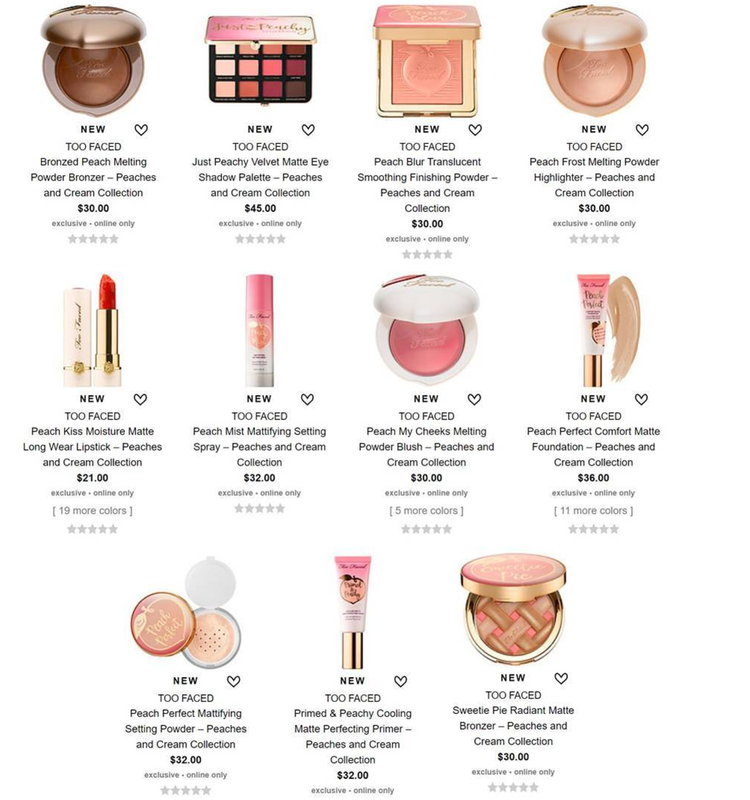 The Too Faced Peaches and Cream Collection officially launches this week (8/31) at Sephora.com but they're releasing one product at a time early, starting with the Sweetie Pie Bronzer today, the Peach Blur Smoothing Finishing Powder tomorrow (tonight at midnight PST) and the Matte Eyeshadow Palette on Wednesday (midnight PST). That's the news for this week! What's on your list? 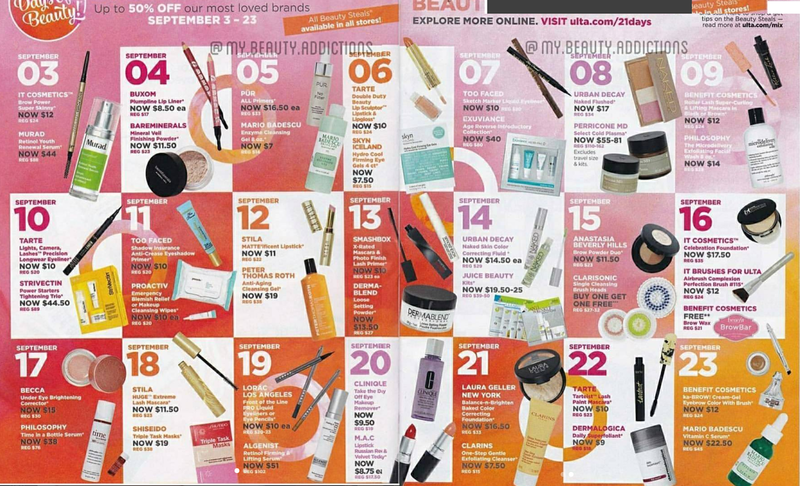 Excited about Ulta's 21 days of beauty. I feel the same. I'm underwhelmed. I may get a back up LG Balance n Brighten powder, because I love that. I've seen the hot buys, too, and don't want any of it. 😢 I should be happy for my budget, though. Overall, I too am a little underwhelmed. I would like the MAC Velvet Teddy, and even had it in my cart recently, almost using my 20% on it. What I really want to see are the Platinum only specials. Maybe they'll wow me. Same here re: not thrilled. I *may* pull the trigger on the It Cosmetics powder foundation and brush but ..... meh? The one thing I do want to purchase is the Mario Badescu Vitamin C serum - that's been in my favorites for awhile. I'm actually a little relieved that I don't want to go too crazy on this sale! Or course, time will tell if the Platinum Perks are any good. Thanks for the update - I had no idea this was coming. 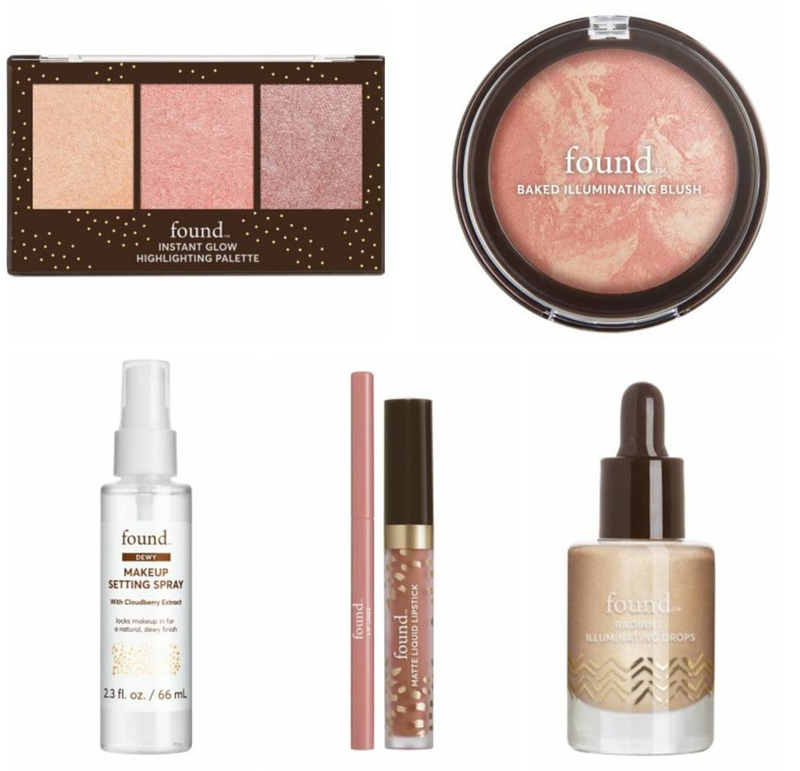 I am super excited about the Found brand. I have very sensitive skin and the ingredient I am allergic to is not in most of their products. Thank you for letting us know about this brand!